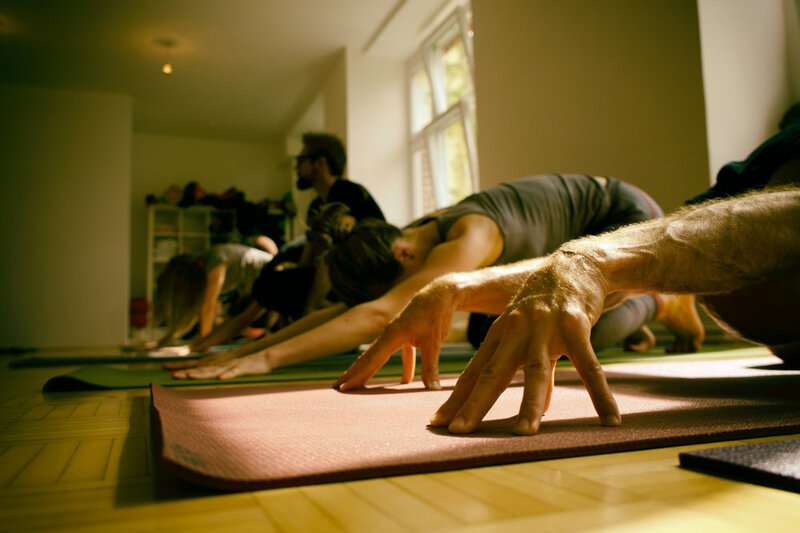 I could catch up with friends, practice with Grischa and take Ty’s 5 days Ashtanga Yoga Intensive at Ashtanga Yoga Berlin. 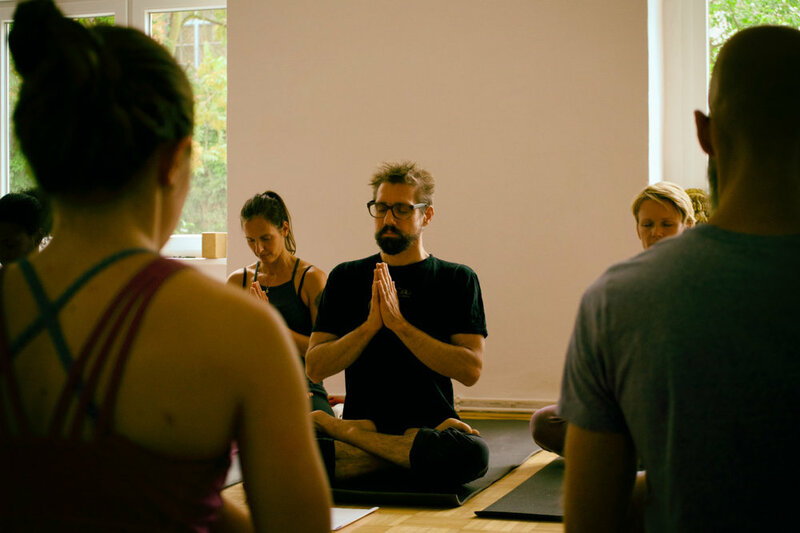 Ty – same as Grischa – is a dedicated long-term practitioner who studies under Richard Freeman and now runs the Yoga Workshop in Boulder/Colorado. He himself as a background in philosophy which made the whole event even more interesting from many perspectives. The mysore style morning practice was super focussed with Ty and Grischa co-teaching. There was the ideal balance between practical hints & skillful adjustments and the space to keep the flow of the practice going. 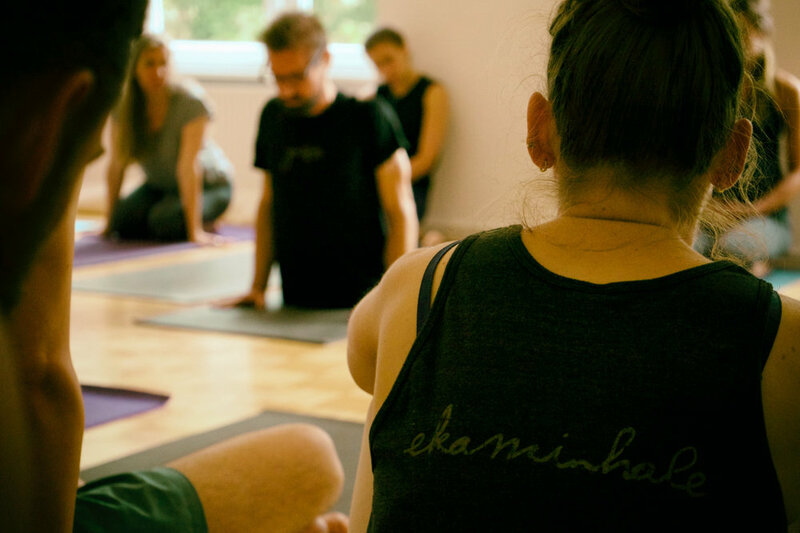 The pranayama sequence straight after the mysore class was easily accessible from the very beginning and progressed over the course. It also introduced the fundamental principle of joining prana and apana together in order to create the most fundamental mudra. This concept was then repeated and applied during the curse of the intensive within the postures, dynamic transitions and after all the philosophical context. Good stuff. If there is one hint that you can really use and integrate into you personal practice a workshop is worth attending. This time there was plenty and some homework for me which is awesome. During this Intensive Ty covered all the aspects that a integrated yoga practice has to offer so I’d definitely go again. I’m also now really looking forward to studying with Richard Freeman this Summer after having studied with two of his well-versed students.